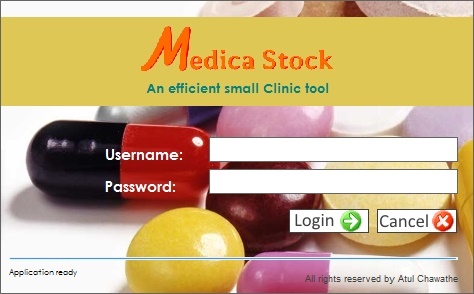 Medica Stock is a perfect software suitable for small Clinics or Healthcare centers or Hospitals to manage the inventory of all the medicines and get various MIS reports quickly. It can also keep track of all kind of expenses incurred on day to day basis along with purchases made and incomes generated by your organization. This application quickly updates you with the financial figures related to monthly income and Expenditure and Annual Income and Expenditure as an when you make entries in various form of the software. You are always aware of your liability or pending payments which is to be made to your suppliers. Medica Stock is extremely easy to use. 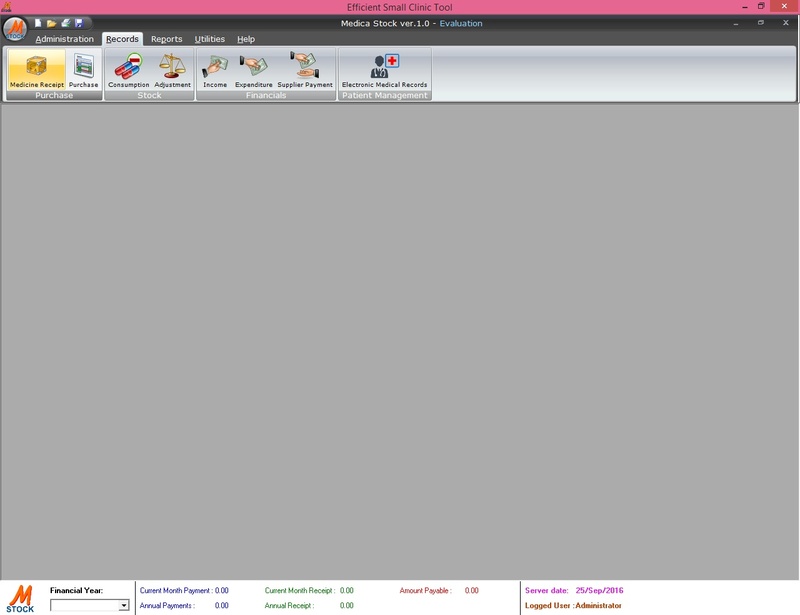 Main window of software is divided into four sections. Administration , Records , Reports, Utilities that perform all the required tasks grouped under them. Access database Engine (25.6mb) – drivers required to connect MEDICA STOCK database. How To : Guide for Installing and running MEDICA STOCK. Manual : Help manual about how to use MEDICA STOCK. Cost of Medica Stock is Rs.2500/- for Indian Customers and $42 for International Customers.